We don’t generally condone living in the past, but we’re making an exception as we take a look back at some of our biggest condominium achievements of the last decade. Take a walk down memory lane with us and enjoy the awesome views and aerial footage below. Completed in 2007, Empire Place was our first master-planned condominium community, recognizing the demand for urban intensification. A 3-tower condominium with 440 units, this Richmond Hill community represents Empire’s first of many high-rise projects and is conveniently located within walking distance to public transportation including Go Transit, shops, restaurants, entertainment and parks. The complex is rich in amenities that include a tennis court, exercise room, recreational facility, indoor pool with separate whirlpool, party room and 24-hour concierge. Completed in 2008, The Continental was another testament to Empire’s tradition of out-of-the-box architecture and community-building approach. Located within walking distance of the Finch subway station, VIVA Bus Stops, shopping, restaurants, recreational facilities and the library in the heart of North York, the development is comprised of two 21-storey towers with 242 and 272 condominiums suites and 8,000 square feet of amenities. Completed in 2009, The Vineyards is a luxury condominium complex in Richmond Hill inspired by the rich history of Europe’s finest architecture. With 629 suites, the complex is a spectacular master-planned community, with lavish grounds, walking paths, tennis courts, putting greens, a 24-hour manned gatehouse, a 2-storey lobby and a magnificent Chateau Club. The Modern is a revolution in style. Suites feature extraordinary designer finishes that put you in a modern new class of cool. Located at Richmond and Sherbourne, this head-turning condominium is steps from public transit and surrounded by some of Toronto’s most appealing attractions. The development features an architecturally sculpted resident courtyard, 24/7 concierge, landscaped roof top terrace, and resident lounge with fireplace, bar, billiards and dining area. Enjoy nearby trendy bars, cafes, restaurants, the St. Lawrence Market, the historic Distillery District, and much more. Schoolhouse is an exclusive collection of 19 one-of-a-kind residences in the former Loretto College in the prestigious Annex neighbourhood. Long known as the cultural hub of Toronto, the Annex is rich in history and steeped in tradition. From the glory of the nearby University of Toronto campus, to the international acclaim of the Royal Ontario Museum and the desirable Yorkville neighbourhood, Schoolhouse puts you steps from the finer things in life…art, fashion, cuisine and theatre. 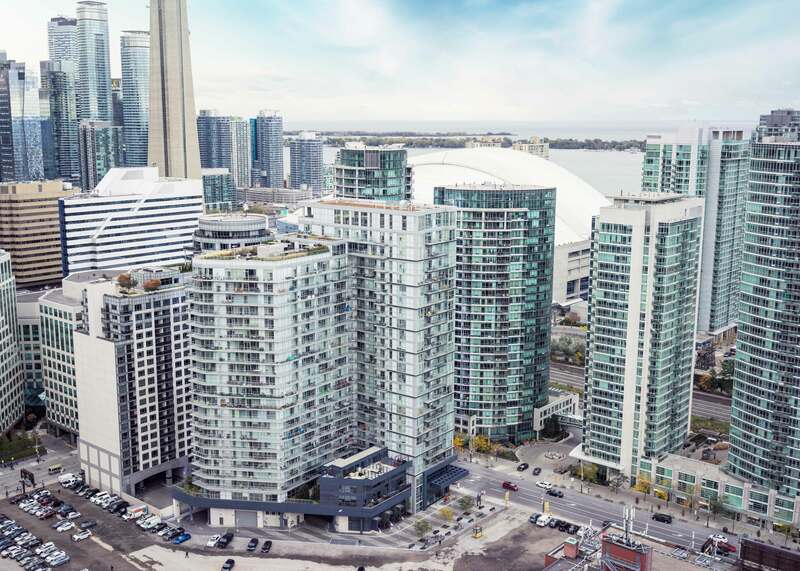 Beyond the Sea Condominiums is a master-planned, three tower high-rise condominium community on the Toronto waterfront, offering 5-star living just minutes from the Gardiner Expressway and downtown Toronto. It offers unprecedented views and access to over 40,000 square feet of recreational amenity space. Relax in the state-of-the-art indoor pool or keep fit in the fully equipped exercise facility with yoga and martial arts studios. Completed in 2013 with 832 suites, Beyond the Sea was Empire’s first Etobicoke community and one of the first multi-tower developments in the Humber Bay Shores area. This neighbourhood has since experienced significant growth and Empire looks forward to being part of this community as it continues to evolve and attract new residents. Completed in 2014, the Elegant and sophisticated Fly Condos offers both an uptown chic and downtown cool vibe in its 465 suites. This icon of style has emerged at 352 Front Street West, near Spadina Avenue. Steps from entertainment, dining, and sports venues, and facing historic Clarence Square park, FLY is at the epicentre of Toronto’s most exciting location. Kick back with friends on the rooftop venue complete with outdoor terrace, private cabanas, and an alfresco dining table. Recently completed in 2017, Rain & Senses was a decade long journey for Empire that is a true testament to the changing landscape of development in the GTA’s suburban communities. Once approached with skepticism, the high-density development made sense for the city as time progressed and intensification increased, especially given its close proximity to Oakville’s GO station and downtown Kerr Village. Why are we FEELING so nostalgic? 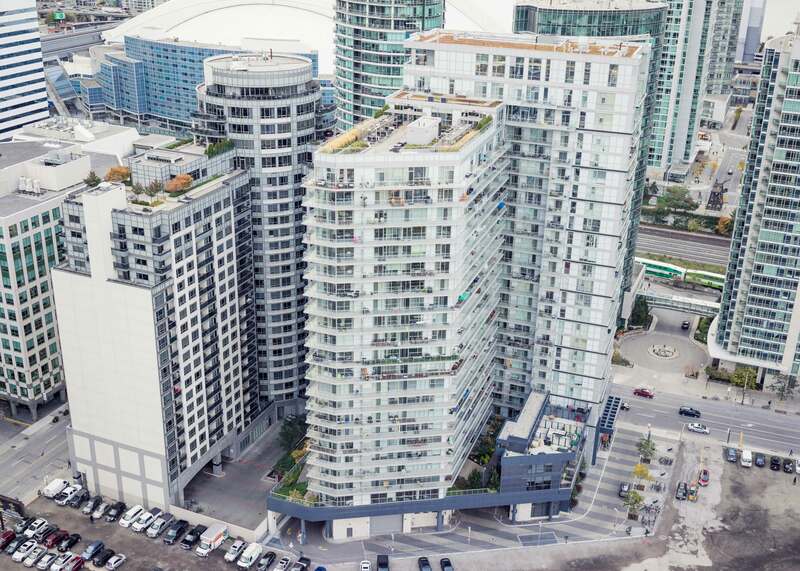 In light of new and exciting developments in Empire’s condo future, we wanted to look back to reflect on all we’ve accomplished and what the changing condo resident needs for the future. Stay tuned as we prepare to announce some exciting high-rise news you won’t want to miss. Follow us on Instagram, Facebook or Twitter as we give you a sneak peaks of what’s to come #EmpireRising2018.